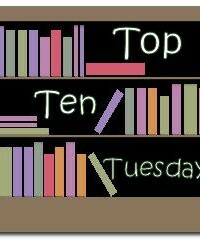 For the first time, I am (belatedly) participating in the Top Ten Tuesday meme, hosted by the Broke and the Bookish. This week’s list is Ten Books I resolve to read in 2011. In order to fit in with my own anti-resolution philosophy, I am treating a resolution to read as an intention to read. This may be a little “hair-splitting” but it works for me. The Lost Books of the Odyssey by Zachary Mason. A collection of 44 “re-imaginings” of passages from Homer’s Odyssey, this has had rave reviews and, given my love of Greek classics, should be a good one. The Imperfectionists by Tom Rachman. This is a novel about the lives and dreams of the staff on an English language newspaper in Rome, whose future looks grim. It was described by the New York Times as a cross between Waugh’s Scoop and Thompson’s Fear and Loathing in Las Vegas. Not much to live up to there, then. The Housekeeper and the Professor by Yoko Ogawa. I’ve read a number of positive reviews of this story about a mathematics professor with a faltering memory and his new, younger housekeeper and it sounds intriguing. Barchester Towers by Anthony Trollope. I read the Warden a couple of years ago but was put off this one by its length and wasn’t sure I would be able to deal with Trollope’s style for that long. The recent Trollope Tour has given me a bit of impetus though and it has been sitting in my TBR box in the basement at home for too long. A Question of Belief by Donna Leon. This is the 19th Commissario Brunetti detective novel by Leon. Set in Venice (where she lives), they are as much about the city and Brunetti’s relationships with his wife, family and colleagues as they are about murder. I’ve enjoyed every single one of them so far and have no reason to believe A Question of Belief will be any different. A People’s Tragedy by Orlando Figes. This is a hefty monster of a book, one of the leading histories of the Russian Revolution of 1917 and the immediate aftermath, despite the controversies that dog its author. It’s been sitting in my TBR box for a while and the only thing that has been putting me off is its sheer length. This year will be the year for me to delve into it. 50 Literature Ideas You Really Need to Know by John Sutherland. I gave up studying English Literature formally at 16, following my O-Levels and since starting to blog about books, I have become increasingly aware of my lack of a basic theoretical framework on which to hang any criticisms of fiction. Sutherland has produced this book to help readers understand the basic concepts of literary theories and concepts as he believes that the falling out of fashion of literary criticism (at least in Britain) means that we are not able to enjoy and appreciate literature as well as we should. Contested Will: Who wrote Shakespeare? by James Shapiro. Call me simple but I honestly believe that Shakespeare did write Shakespeare. I know it’s not very clever or cool to think that but I do. I am, however, endlessly fascinated by the theories on who else might have written his plays. I think Shapiro concludes that Shakespeare wrote them but we shall see. Venice: Pure City by Peter Ackroyd. I love Venice, with all its mystery and history and I suspect Ackroyd’s style is perfectly suited to writing about it. It will take a lot to surpass Jan Morris’ Venice but I have high hopes. From the Boer War to the Cold War: Essays on Twentieth Century Europe by A.J.P. Taylor. This is one of the volumes in the excellent Faber Finds series of reprints of out of print books (both fiction and non-fiction) and is a collection of AJP Taylor’s essays, which I intend to dip in and out of through the year. Great historian and a great writer too. What I have found most encouraging is that I really struggled to limit my list to ten volumes and there were tens more on my TBR list and in my TBR box that I wanted to write about so it looks like 2011 is going to be a wonderful reading year. Some good choices there. The Odyssey and the Shakespeare books sound particularly interesting. I'm also in the Shakespeare wrote Shakespeare camp. I think evidence to the contrary is not convincing. I just read The Imperfectionists. I'll probably have a review up in the next day or so. It was pretty good. It was more a collection of short stories about people who worked at the paper then a cohesive story, but it was enjoyable. Wow. Interesting. A list of books that are almost totally unfamiliar to me! I love that. I will look into these. The Mason is near the top of my nightstand pile (right below Malour's Ransom, an Iliad story). I can't wait to see what you think. And I have Shapiro on my shelf but it might be a while before I get to it. Sutherland looks fascinating! Thanks for all the ideas. Jay - Great minds think alike! Letter4no1 - thanks for this. I will check out your review. Deb - Thanks. I will check your list out when I get the chance! Lifetime Reader - Thanks for the comment. I'll be looking forward to reading your thoughts on these. It's 2011 - Happy New Year! !